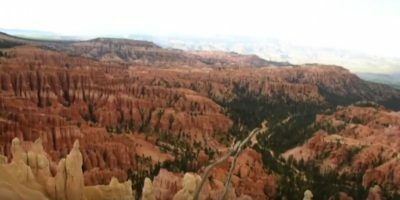 High school Junior, Katie Whitehead, submitted this video to the Mormon Pioneer National Heritage Area, highlighting her trip through several National Parks. We appreciate her sharing and admire her talent. Katie – We look forward to seeing more of your work! My name is Katie Whitehead and I love photography and everything to do with it. I started taking pictures with my professional camera in 2015. I recently went on a trip with my family to Bryce Canyon, and a couple other areas. Of the areas we went to, Bryce was my favorite because the rock formations are very unique and the atmosphere there is amazing. At night you can see millions of stars because there is hardly any light pollution there. I highly suggest that you visit Bryce Canyon at least once in your lifetime if not more. Thank you for watching the video!